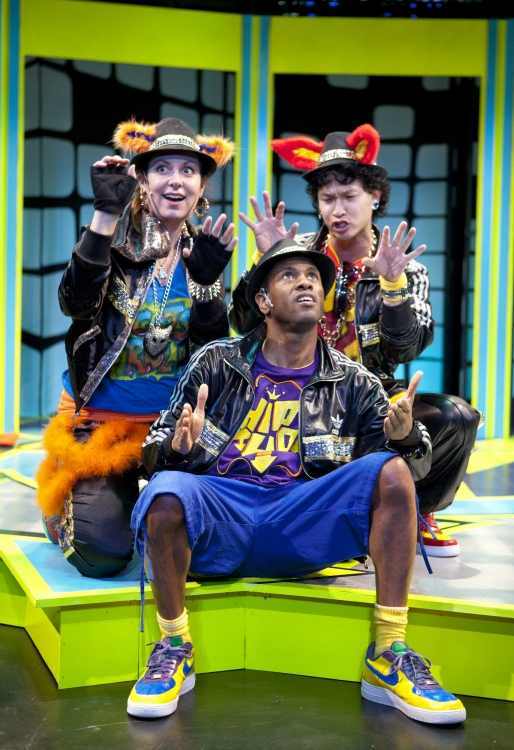 P.NOKIO: A HIP-HOP MUSICAL is a contemporary adaptation of The Adventures of Pinocchio. G.Petto is a video game designer, and P.Nokio is one of his designs that magically comes to life. Arming P.Nokio with a sacred “Book of Rhymes,” G.Petto sends his new son to The Old School to master style, originality, and swagger. However, en route to school, P.Nokio arrives at a Fork in the road and willfully goes the way of Fun and Trouble. P.Nokio travels to The Forest of Fraudulent Fun and gets swindled by a corrupt Fox and Cat. As a result of his mischief, P.Nokio grows donkey ears. In the end, P.Nokio finally fights for the opportunity to redeem himself and prove his love for his father G.Petto.